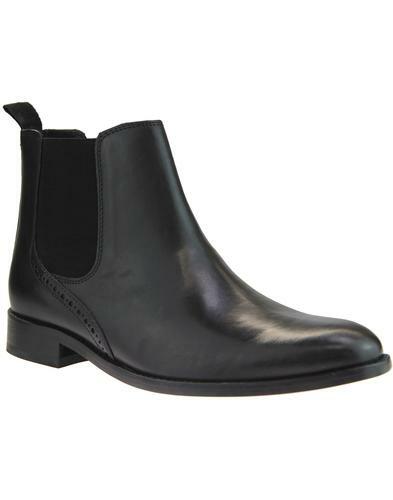 Kensington 'Sloane' Men's 60s Mod Chelsea Boots in smooth black leather. Featuring classic Retro elasticated side gussets, neat rounded toe and slight block heel. Goodyear welted leather sole. This stylish Retro Dealer Boot is finished with loop to back to help ease them on and off. 'Sloane' are simple and stylish Men's Chelsea Boots that blend a worker boot silhouette with a more refined and sophisticated edge. 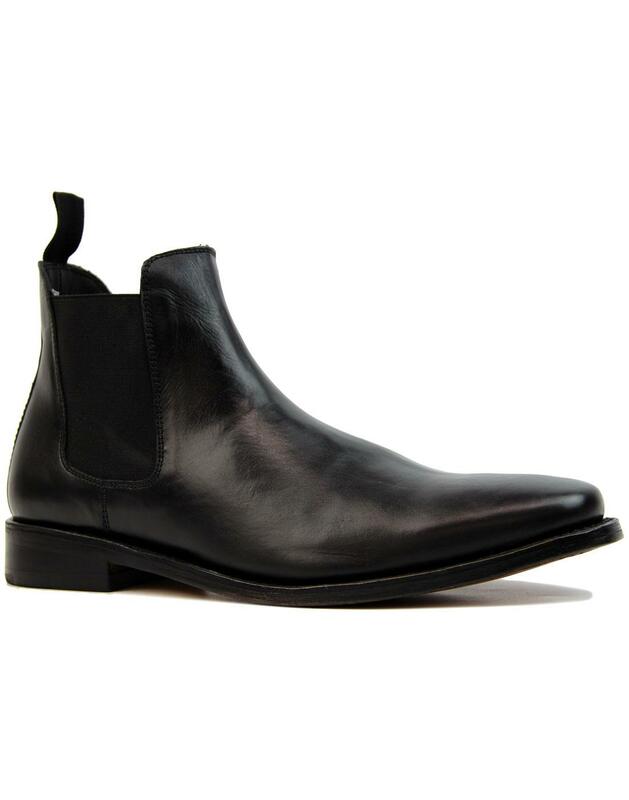 - Kensington 'Sloane' men's 60s mod Chelsea boots in black. - Retro elasticated side gussets. - Heel loop to back. 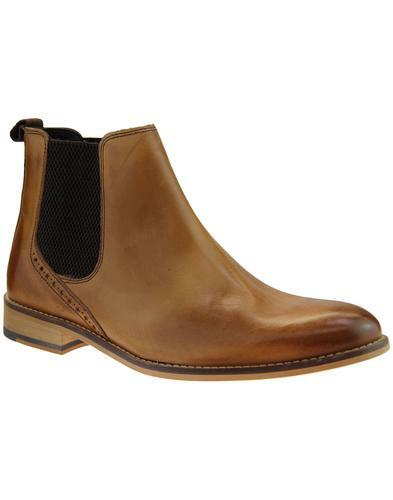 - SKU: M833A Chelsea Boots. Composition: Leather upper. Leather lining. Goodyear welted leather sole.